It stops family buyers, tradespeople, and lovers of a quiet country lifestyle with land, in their tracks. With four bedrooms, bay window formal living room, decorative ceiling roses, earthy floor tiles, and quality finishes to meet today's fussiest, it makes for a hearty homecoming. And so too, the master wing. Preceding your luxurious turn-in is a retreat/home office (even a dressing room or nursery) before a heritage style en-suite and corner walk-in robe. 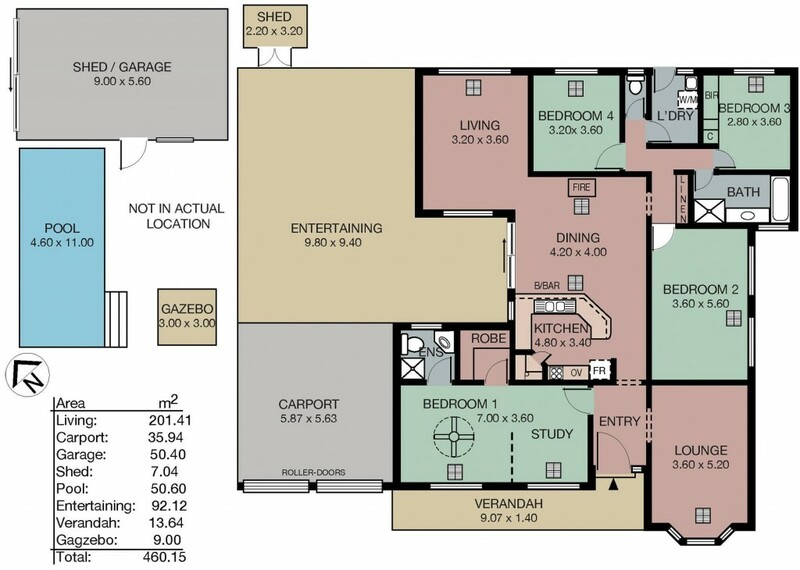 Then, the activity centre reveals an original laminate kitchen, an adjoining family room and a casual meals area with combustion fire - right where the energetic are ushered to rumpus room freedom (AKA the large second bedroom) or outside to the entertainer's haven. Clipped hedges and an arbour meet the pool gate, and beyond, mature trees shade the estate-like grounds from its bowling green lawns to the fully fenced and paved solar heated pool and gazebo. Sundrenched or shade, this is where the serious fun happens. Winding down, a wing of two more bedrooms (one robed) converge on the heritage style family bathroom and separate WC. Plenty of secure car-parking beneath dual roller door coverage, and the powered and concreted shed (with side gate vehicle access) is a tradies, trucker or land lover's dream. All up, this is a lot of home. From its picturesque cul-de-sac enclave, the main street appears with amenities in check, bus stop out the front, and you're all but a country block from Oakbank Area School.